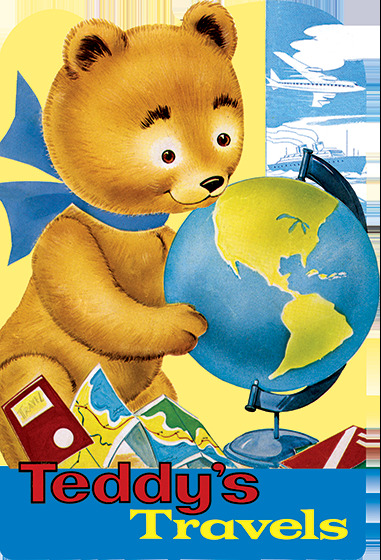 In this delightful reproduction of a classic mid-century modern children's title, Teddy takes a number of trips, by bicycle, by car, by boat and by plane. In this delightful reproduction of a classic mid-century modern children's title, Teddy takes a number of trips, by bicycle, by car, by boat and by plane. Each method of locomotion has advantages and disadvantages, but, in the end, Teddy discovers that there's no place like home. Teddy's Travels is a good book for small children on family trips to help them understand travel in general and patience during travel, specifically, with its sometimes inconveniences, in a fun and informative way. Die-cut, with foil accents and handsomely proportioned, Teddy's Travels is the latest title in the Laughing Elephant's best selling die-cut shape book series.